Amazon: Top Kindle Reads Starting at Just $0.99 Each – Today Only! Head to Amazon.com where today only you can snag Top Kindle Reads starting at just $0.99 each! 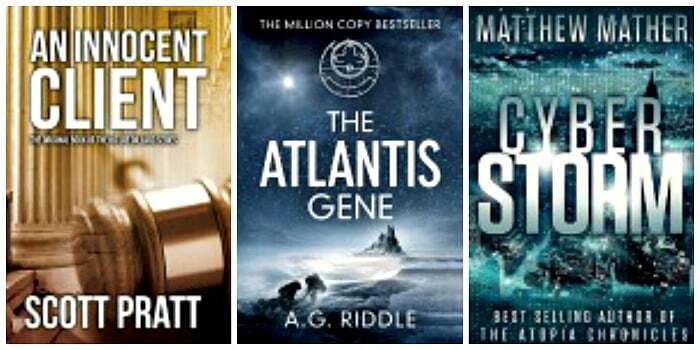 You’ll find lots of highly rated books to choose from including An Innocent Client (Joe Dillard Series Book 1) by Scott Pratt, CyberStorm by Matthew Mather, The Atlantis Gene: A Thriller (The Origin Mystery, Book 1) by A.G. Riddle and more! This Amazon deal of the day is valid October 1 only and while supplies last.